365 Charters is is owned and operated by pro angler and sport fishing guide, Captain Doug Saint-Denis. 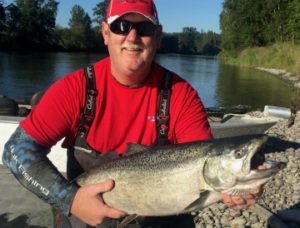 Doug holds a United States Coast Guard Masters License, TWIC card, and is a Washington State Licensed Guide. Additionally, we hold current US Forest Service permits to operate on the Wild and Scenic Skagit River.